Give it enough time, and almost every athlete will undergo some type of sports injury. It may be minor or it may be a big deal. No matter how severe an injury is, it’s sure to put a kink in your training plans. Some injuries may require long periods of rest. But, when it’s finally time to come back to your sport and rebuild your strength and stamina, it’s wise to take it slowly. New injuries can easily come from old ones if you’re not careful. Fortunately, we’ve got several tips for training with an injury that will help you safely come back strong. We must stress that the first step you should always take with any injury is paying a visit to a medical professional. The determined athlete often wishes to push past the pain in an effort not to miss any training opportunities. However, we all know that this option can lead to further injury all too quickly. Get a proper diagnosis of your injury first thing. Someone in sports medicine or physical therapy can also give you individual tips for training with an injury. Now that you’ve visited a pro and know just how gently to go on your injury, you can make a plan. Take a realistic look at your fitness goals, and any upcoming events on your calendar. Can you make these happen, given your injury and the time you’ll need to heal? Take the time to rework your goals now so that you won’t push yourself too far later. When you’re injured, the body needs all the help it can get in healing. Be sure that you’re eating a diet rich in anti-inflammatory foods. Choices like fresh fruits and vegetables, ginger, and turmeric will all be helpful. Stay away from refined sugars and wheats. 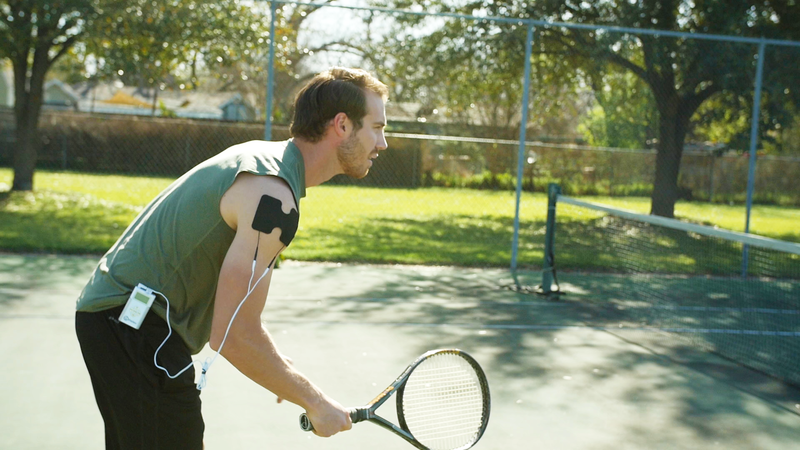 An injury in one's shoulder doesn’t mean you have to put everything else to rest. Continue a careful, but active, strengthening routine for the rest of your body, like the legs, core, and even the uninjured shoulder. 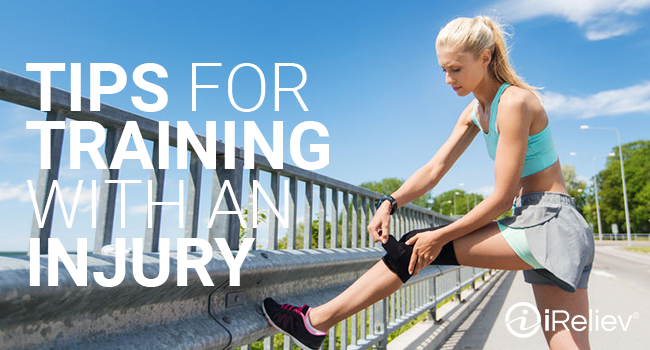 Training with an injury is actually wise, as it will help you avoid atrophy and make it easier to bring the injured part of your body back from its resting time. Speaking of avoiding atrophy, there’s one alternative tool that all athletes should be using: EMS electrotherapy. 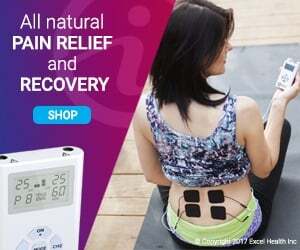 EMS uses gentle electrical impulses to stimulate the muscles. This increases the bloodflow to the area and helps increase strength. EMS is a wonderful tool for training with an injury, because it essentially lets you work out the injured muscle even while it’s resting. It won’t bring you quite the same results as a full-on physical work-out, but it will prevent atrophy and inflammation, and will help with recovery. Training with an injury doesn’t have to be an impossible feat. It’s all about listening to your body, being patient with your body, and giving your body what it needs. Take your time to learn the diet that works for you, and talk to a professional about building a realistic recovery schedule. Once you’re fully healed, you’ll be happy that you took the patient, efficient road to recovery.